Designed from premium components, the Sage citrus press brings commercial quality juicing into the home. With a simple one-touch operation, it performs as good as it looks. The soft grip handle and automatic motor makes it easy. The Double Stage Switching System ensures you full safety while processing as juicer will NOT operate until it is correctly assembled. Juicing press arm and cone enables you to process all sort of fruits (small limes, lemons, tangerines, oranges and even big grapefruits). 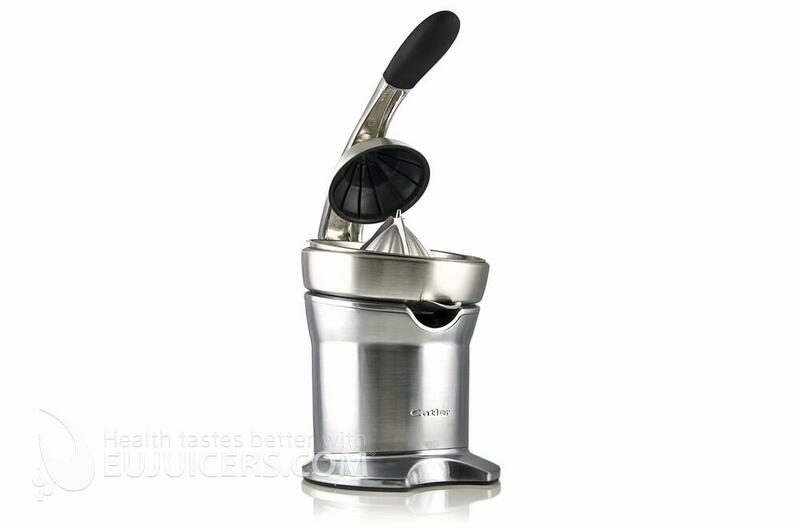 Silent and powerful motor ensures maximum extraction of fresh juice rich in vitamin C all the time. 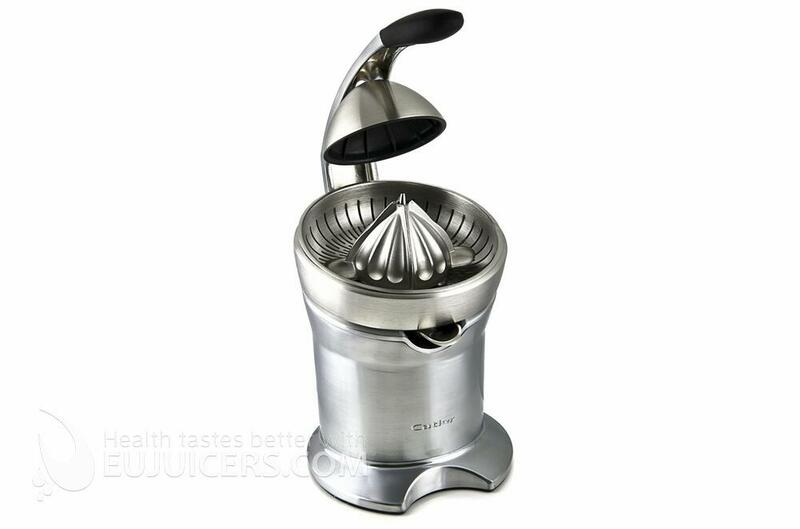 All the juicing parts are removable and made from dishwasher-safe stainless steel. This citrus juicer is part of the Gastroback/Breville Cafe Series range of 'professional grade tools' inspired by heavy duty industrial cooking equipment. This range responds to the rise of consumer interest in making cafe style or gourmet food at home. It also reflects the trends in the marketplace towards 'affordable luxury' goods.The 800 Class products are aimed at the premium end of the market, towards consumers who are food lovers and want products that last. The designers used commercial components and finishes to make a true "luxury" juicer.